As a Vice President for The Horton Group, Eric’s primary responsibilities are to advise existing Horton clients and build new client relationships. A national risk advisory expert with over 21 years of experience, Eric helped develop alternative risk funding strategies that are both innovative and cost-efficient for clients. Prior to joining Horton, Eric was a Founding Partner of a widely respected, cutting edge national risk management & alternative risk consulting firm. 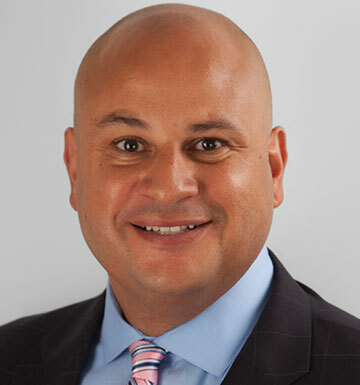 Eric also served as Vice President of Marsh & McLennan, Inc. Eric attended Loyola University of Chicago where he earned a Bachelor of Business Administration and a Master of Human Resources/Industrial Business Relations. With today’s ever-evolving insurance industry, Eric believes it is vital for industry leaders and advisors to stay ahead of changing trends so they can deliver ideas and solutions that provide long-term value to clients. Eric finds it rewarding to be part of a team that is dedicated to understanding clients’ needs and providing expert guidance and innovative solutions to meet them. “My goal is to be the best advisor I can be for my clients,” said Eric. A native of LaPorte, Indiana, Eric was inducted into the Indiana High School Basketball Hall of Fame in 2014 for his all-star efforts while attending LaPorte High School. When away from work, Eric enjoys spending time with his three children as well as coaching kids’ sports, traveling, playing golf and participating in triathlons.